We are here for all your automotive repair needs! We believe in helping you preserve the quality and value of your vehicle so we offer free oil changes for life when you purchase and service your vehicle at Basil Resale Sheridan. Choose the Basil Difference to Find The Best Used Cars, SUV’s & Trucks in Williamsville! 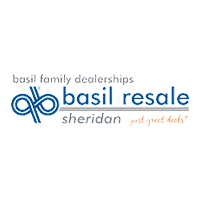 At Basil Resale Sheridan our dedicated team works hard to make your used vehicle buying and ownership experience easy and enjoyable. Basil has the best pre-owned vehicle inventory in Western New York with over 1,100 vehicles to choose from including all the brands you love: Acura, Buick, Chevrolet, Chrysler, Dodge, Ford, GMC, Hyundai, Mitsubishi, Mercury, Mazda, Nissan, Oldsmobile, Pontiac, Saturn, Scion, Subaru, Suzuki, Toyota, and Volkswagen. Our online inventory allows you to search for the perfect used car, at the perfect price, along with no obligation price quotes for free. If you’re looking to sell your vehicle for cash, then Basil Resale Sheridan is the right place for you as well! There is no purchase necessary, contact a member of our team to get an appraisal today! Visit Our Williamsville, NY location today to find out how we provide the Basil Difference to drivers of the greater Williamsville, Buffalo, and Clarence areas! Trust Basil Resale Sheridan to take care of your vehicle needs beyond the date of purchase! Our service center is staffed with the best of the best technicians that will make servicing your vehicle transparent, quick and easy. Whether you need to stop in for an oil change or are experiencing transmissions problems, our service team is here to help get you back on the road in no time! Schedule your service and learn about our incredible service specials online today! Our friendly staff, experienced service technicians and trustworthy finance team are here to help with all your automotive needs! If you have any questions at all, please contact our dealership or come in for a visit at our Williamsville, NY location and we’ll welcome you to the Basil Family!